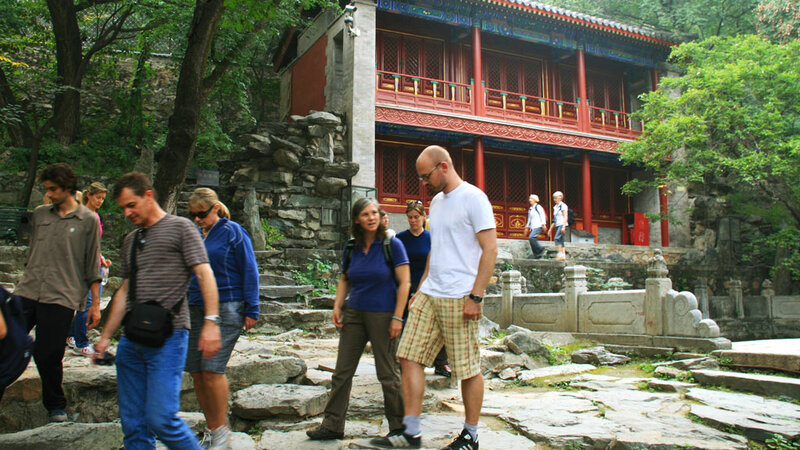 In Brief: Make the tough hike up to and along Vulture Rock Ridge, finishing off the hike with the long descent to Dajue Temple. High mountain views in the west of Beijing. 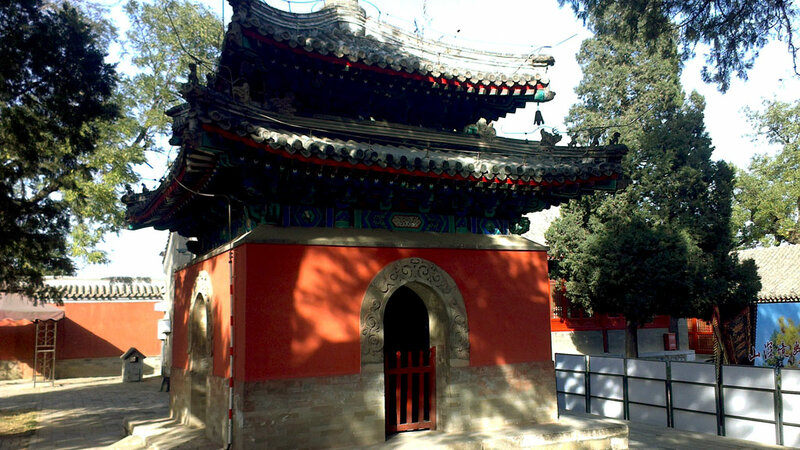 On this hike we’ll make an arduous climb up a an old pilgrims’ trail that leads over the mountains, starting near a tiny temple on the Beijing side of the West Mountains and finishing near Dajue Temple. On a clear day we’ll be able to see a long way, with views of mountains and the outskirts of Beijing City. 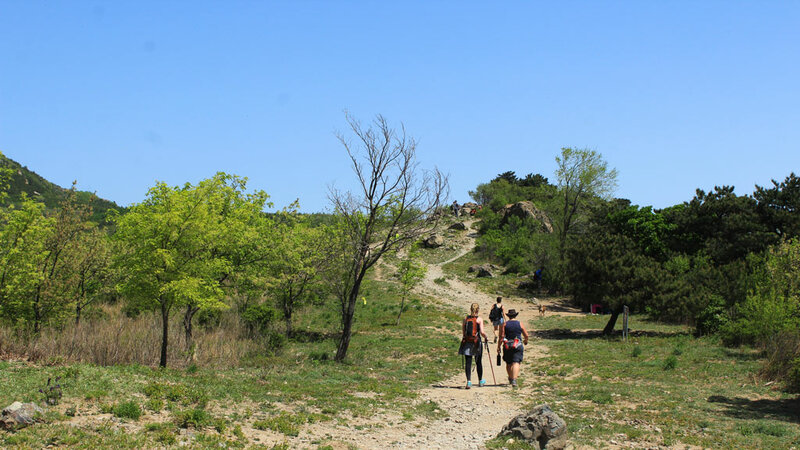 This hike finishes with a long descent which will be tough on your knees. 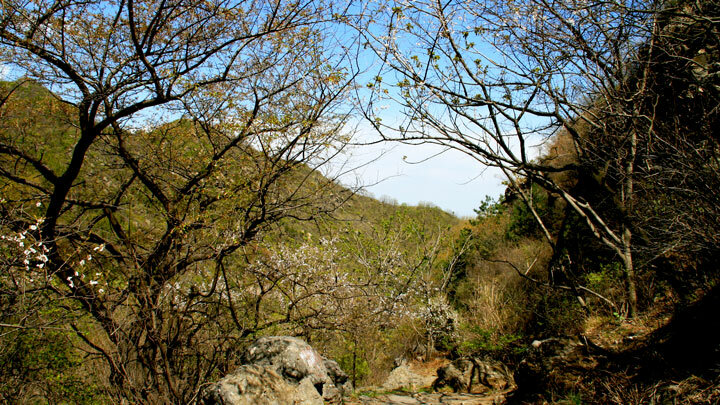 On a hot day, the climb up to the peak will be tough. Note – regular hikers will have done many of these trails already – but perhaps not this way! In modern times there’s no real need to walk pilgrim’s trails to get to temples – why walk, when you can drive your car? 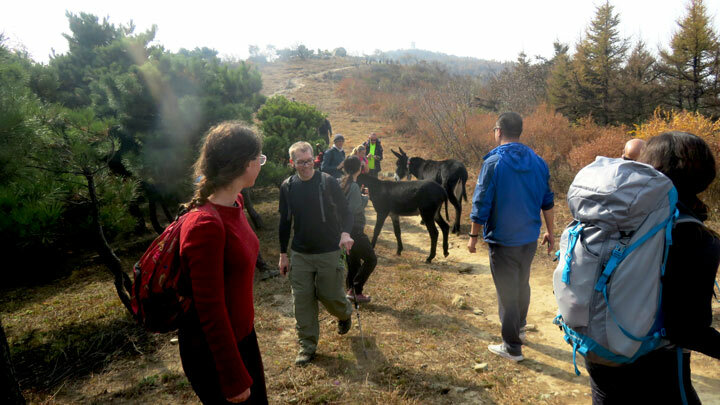 These days the trails are more popular with hikers and hill runners, and part of the path we’ll walk today is used as part of a 100km hill running race. We’ll do the tough part of the hike first, making the massive climb up to Rose Peak. What do we mean by massive? 1,124m over vertical ascent over about 6km. On the way up we’ll pass the ruins of teahouses that catered to those making their pilgrimage during the Qing Dynasty – they’re spaced out just right for a quick rest, but no tea for us, unfortunately – and we’ll stop for a lunch break at a really nice open spot just before the final climb to the peak. Rose Peak is 1,263m above sea level, and it’s the highest point of our hike today. That means once we get up, the climbing is pretty much finished, but it’s still a long, long way down to the end. The first part of the descent follows tracks, firebreaks, and a short section of paved road on the way down to Vulture Rock Ridge. Then the descent gets steeper as we follow a pilgrims’ trail down to finish by Dajue Temple. 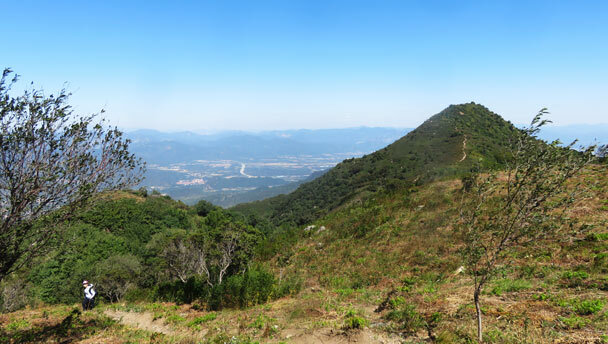 This might feel like the toughest part of the hike, as we drop down around 800m before we get to the temple area. Optional: buy tickets (est. 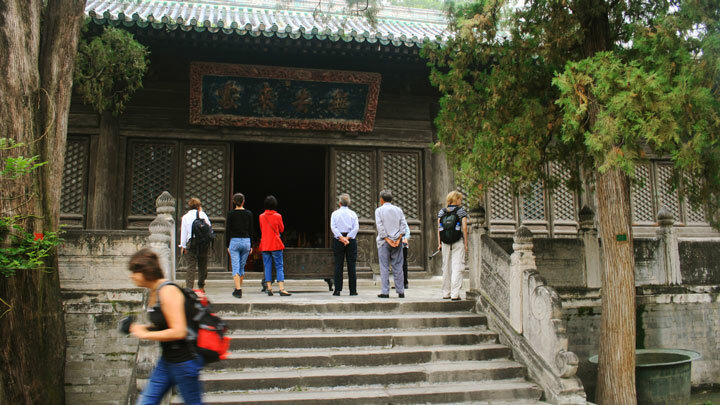 20 RMB per person) and take a 30-minute look around the temple (time permitting). 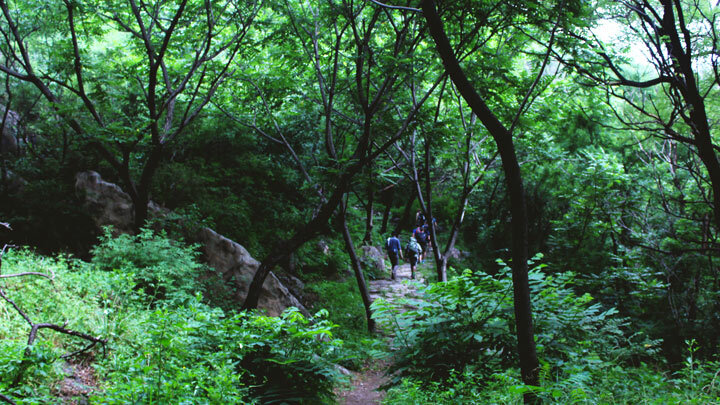 It’s a tough climb, and will feel really difficult on a hot day. The long downhill to finish will be tough on the knees. 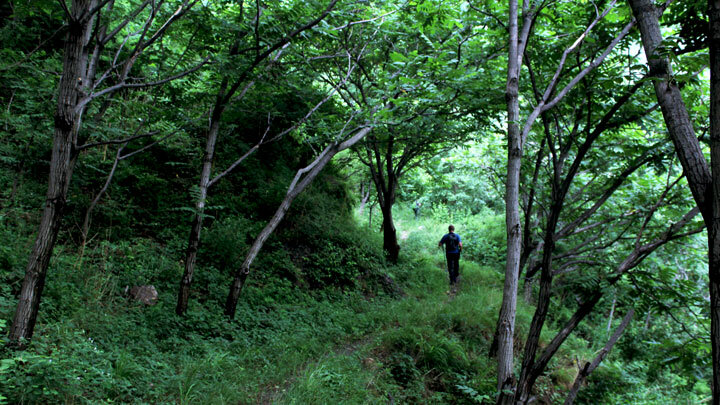 A short section of the hike could be a little bit overgrown. Time to complete: est. 6 hours. From high up on Fenghuang Ridge we saw the pollution getting blown out by a big wind—see a set of 21 photos from the hike, including the visit to Luzu Cave. The weather was just perfect for the hike over the hills to Dajue Temple—see 19 photos from the mountains on the west side of Beijing.